The Country Pickers, a bluegrass and country band from Basel, Switzerland, originally formed in 1960, will be in for a special treat on 1 March 2012. Almost exactly sixteen years after their last performance on 29 March 1996 with original members Peter Gisin on dobro (d. 2010) and Bill Bohn on guitar (d. 2008), they will perform as the supporting act for Michael Cleveland & Flamekeeper, an award-winning top US group, at the Schuetzenhaus Albisgüetli in Zurich, Switzerland. 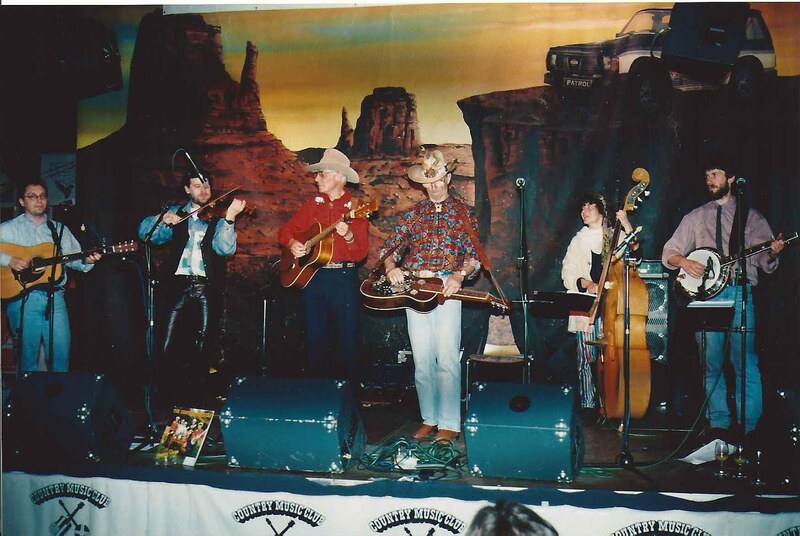 The picture above shows the Country Pickers performing during their 24 March 1996 show at the Albisgüetli in Zurich (left to right): Paolo Dettwiler (guitar), Andreas Wäldele (fiddle), Peter Gisin (dobro), Vera Efler-Merath (bass), Hermann Merath (banjo). The last show with the original members of the band took place just a few days later on 29 March 1996 in their hometown. 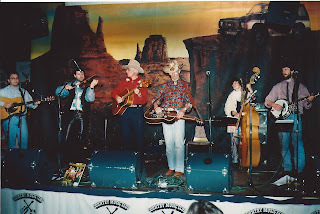 After a fifteen-year hiatus the Country Pickers re-formed in mid October 2010 and now feature (above) Paolo Dettwiler on mandolin and Hermann Merath on banjo, with former bass player Hanspeter Gasser as well as Robert Brunner (dobro) and Tom Lochbrunner (guitar). Their upcoming shows include appearances at the Whisky & Cigar Club of Basel in May and at Paolo's wedding reception in August, and a performance at the 3rd SwissGrass Night in November 2012.